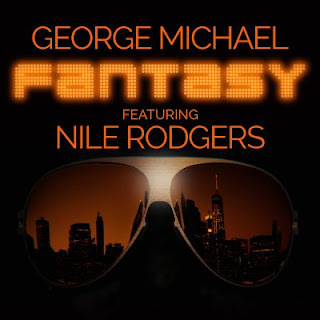 Nile Rodgers found it "extremely emotional" creating a remix of his late pal George Michael's track Fantasy. The Chic frontman was close friends and a regular collaborator with the Faith singer, and George asked him to rework his previously-released track Fantasy in early 2016, months before he died that December. Hours before the single debuted on BBC Radio 2 on Thursday morning (07Sep17), Nile took to Twitter to tell a user about the experience. "This process was extremely emotional for me," he wrote. "We were such massive fans of each other's work. #Christmas2016 was very sad." He also admitted he was "hanging on by my fingernails" as he knew George well and was nervous about the reaction to the song, and told another fan, "I'm on pins and needles. I won't be able to sleep tonight. (What else is new?) I'll work until the reports start coming in. Love, Nile." Another user told Nile she had mixed feelings about new George Michael music coming out following his death and the singer assured her that what she felt was perfectly understandable as he had them too. "You SHOULD have mixed feelings. No one's heart was dragged through emotional ambiguity more than mine.Tears, uncertainty, happiness & #LOVE," he tweeted. Ahead of the song's premiere, Radio 2 presenter Chris Evans read out a letter from George's manager David Austin, who revealed Fantasy was originally supposed to be on 1990 album Listen Without Prejudice Vol. 1 and be a single from it, but "it got lost" and ended up being released as a B-side later that year. "Just last year, when looking for a lead single for the reissue of George's Listen Without Prejudice/MTV Unplugged album and to accompany the new film Freedom that George had just finished working on before Christmas, Fantasy was George's first and obvious choice," he explained. "George phoned up Nile Rodgers, his good pal, in early 2016, because the two of them have always spoken the same musical language as long as they've known each other. And Nile reworked the record and that's what you're about to hear now."